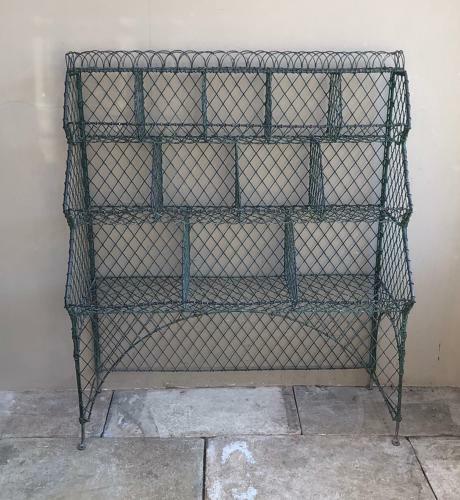 Rare Victorian Wire Work Shops Vegetable & Fruit Rack. Really an exceptionally pretty piece. In a farm shop etc..just fantastic displaying produce & in wonderful completely original condition. There is a top shelf then the sections graduate downwards getting larger in size from 5 sections, 4 sections to 3 sections. Each section with a lip at the end to stop items falling out. Great to hold plates in a restaurant or kitchen too.